Kathy and I just came back from Las Vegas, celebrating 30 years of marriage, last September. 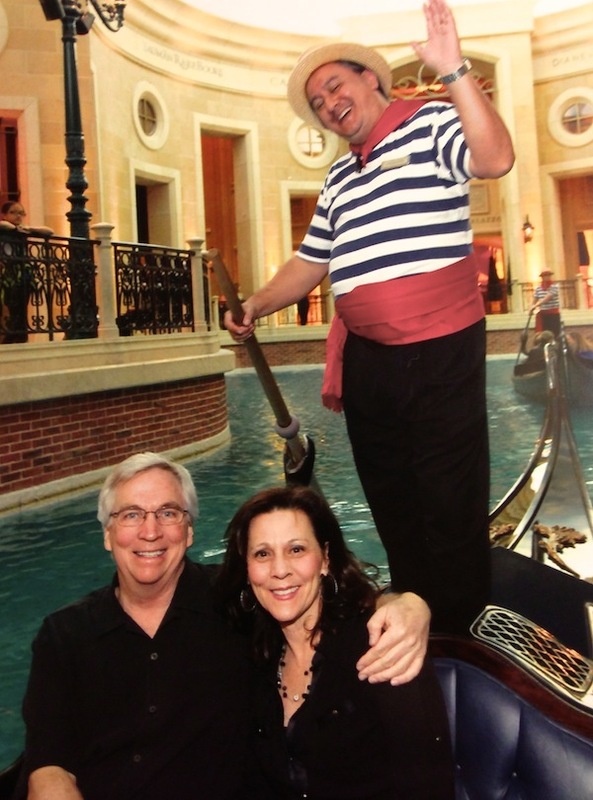 We stayed at “The Venetian”, Breathtaking is not a strong enough word to describe this experience. 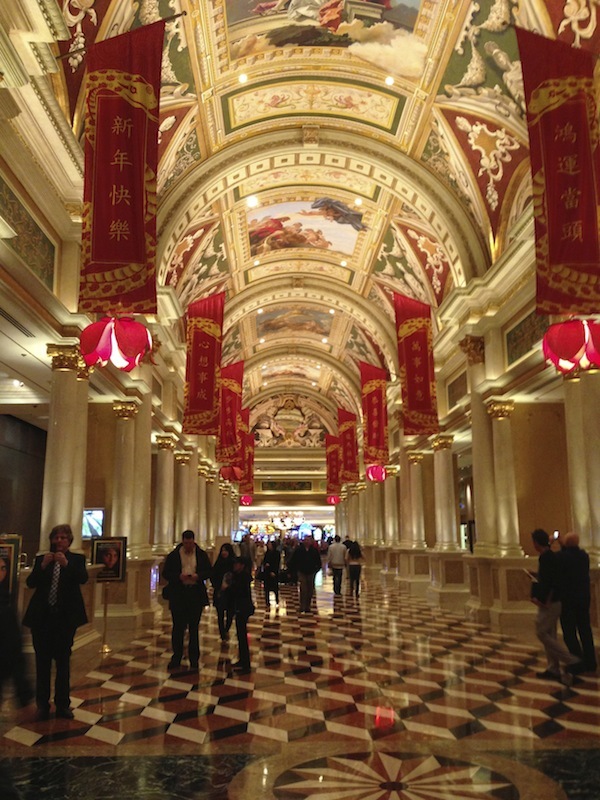 If you have any interest in learning more about Italian Venetian Plaster and the Italian Finishes, I would strongly encourage you to spend a weekend at The Venetian. Here in the states, this may be your best opportunity to see the drama that Italian Venetian Plaster can create on your Walls or Ceilings. The most important “Interior Design Aspect” to understand about “Italian Venetian Plaster” is, …. “Italian Venetian Plaster is Not the Show”. By that I mean, the purpose of introducing Italian Venetian Plaster on a project is to compliment everything else in the room. This Decorative Finish is secondary to all of your other textures, colors and design elements. Wood trim, Flooring, Marble or Tile, Carpet, Drapery, Furniture, Plants and Art Work. The Power of Italian Venetian Paster, is to pull and compliment all of the these design elements together in a way that no other Decorative Finish can do. Go through our Before & After Gallery of Project for examples. Many Faux Finishes and Decorative Finishes, their purpose, is to gain the spot light and become “The Show”. Sometimes this works and sometimes it becomes too much. There is no other finish, that has stood the test of time for endurance and consistently creating this timeless effect, that can last for hundreds of years. It is the favorite of the Best Architects and Interior Designers from around the world. Italian Venetian Plaster truly is the Best Decorative Finish in the world. Trust me on this, your next trip to Las Vegas, stay at “The Venetian”. You will not see some of these dramatic areas if you do not stay at the hotel. Then spend some time trying to understand the drama of this remarkable finish. Notice how subtle it is, and try to imagine any another decorative finish, faux finish, faux painting or paint color that could compare or create this drama. Italian Venetian Plaster…. Wow! Every Home or Business, has room that would love to be blessed with this remarkable Italian Finish. Many times, an Accent Wall, Tray Ceiling, Niche or Columns is all you need. Consider introducing…. Just a Taste of Italian Magic! This entry was posted in History of Italian Venetian Plaster. Bookmark the permalink.